For my lips, I have used the L'oreal Paris Color Riche Moist Matte Limited Edition Swarovski Lipstick in Arabian Nights. It's a gorgeous Deep Purplish Berry color but looks brownish on the bullet. It's a very pretty color and perfect for fall. The lipstick is very similar to the L'Oréal Paris Color Riche Collection Star Lipsticks except for the packaging. Also it does not accentuates dry patches like the former did. READ FULL REVIEW HERE. The rose gold packaging, studded with Swarovski Crystals, looks very classy. I have kept my eyes pretty simple. 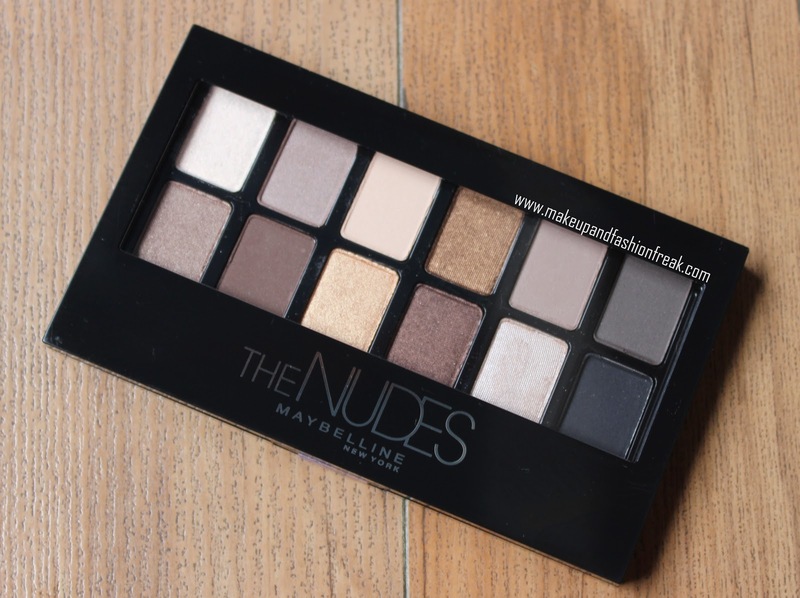 For the eyeshadows, I have used the New Maybelline Nudes Eyeshadow palette. 1 ~ All over the lids. 2 ~ On the crease. 3 ~ Brow bone and inner corners of my eyes. Eyeliner ~ Lakme Absolute Shine Liquid Eyeliner in Black. Kajal ~ Lakme Eyeconic Kajal in Black. Mascara ~ Oriflame The One Mascara. Hope you liked the look. Let me know if you've got any queries. L'oreal Paris Color Riche Moist Matte Limited Edition Swarovski Lipstick in Arabian Nights sent by PR.